According to the CDC, more than 36 percent of adults in the United States struggle with obesity. Losing weight and getting healthy is a goal many people find difficult to achieve. Gastric sleeve is a procedure that can help you lose weight and eliminate a variety of weight-related health conditions. The diet industry will often tell you how easy it is to lose weight if you follow their plan or take their pills. You already know, however, there isn’t a simple fix. Taking off excess weight is hard because of several factors. In society, you are surrounded by poor food choices and often live a sedentary lifestyle. You may also struggle against a genetic predisposition to gain weight and a slow metabolism. Many scientists also believe that set point theory may contribute to your inability to lose weight. According to MIT Medical, a set point is a system of controls similar to a thermostat that’s built into each person. This determines how much fat each person should carry. Changing a set point to achieve weight loss can be extremely difficult. How Can Gastric Sleeve Help You Lose Weight? Gastric sleeve is a procedure that can be far more effective in achieving and maintaining weight loss than exercise and diet alone. While you are under general anesthesia, a surgeon removes part of your stomach through a small incision. This procedure reduces the overall size of your stomach and allows you to only eat a small amount at one time. You can expect to lose weight over the course of several months. While success rates will vary, you may reduce excess weight by approximately 70 percent. The Cleveland Clinic reports there are several health benefits that can be obtained through weight loss surgery. A few include improved cardiovascular functioning, remission of type 2 diabetes and joint pain relief. What Are the Qualifications for Gastric Sleeve? Gastric sleeve is a procedure that is usually reserved for individuals who are considered morbidly obese. Many patients will also have additional health conditions, such as sleep apnea or hypertension. 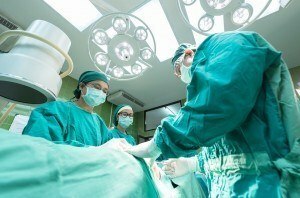 Being able to handle the physical stress of surgery is also a requirement. It’s important to remember that even though gastric sleeve can provide effective and dramatic weight loss, long-term success is maintained by incorporating good exercise and eating habits into your daily routine. Many insurance plans now cover weight loss procedures including gastric sleeve. If you’ve been struggling with losing weight, now is the time to consider gastric sleeve to help you reach your weight loss goals. Gastric sleeve can be part of an effective and lasting weight loss plan. Around 45 million Americans diet every year, according to research from the Boston Medical Center. Still, some people struggle to shed the pounds. As a result, more drastic weight loss procedures, such as gastric sleeve surgery, have become attractive. This surgery reduces part of your stomach, so you feel fuller after consuming food. The result? You eat less and lose more weight. Gastric sleeve surgery removes around 80 percent of your stomach and leaves behind a vertical tube — called a “sleeve” — that is around the size of a banana. After this operation, you will notice that you feel much fuller than you normally would after consuming food. Therefore, you will need to select small portion sizes at meal times. Gastric sleeve surgery produces rapid weight loss, according to the American Society for Metabolic and Bariatric Surgery. One study suggests that people can lose more than 50 percent of their total body weight in a three- to five-year period. Moreover, weight loss is comparable to that of a gastric bypass — another bariatric surgical procedure. Here’s the science behind gastric sleeve surgery: this procedure causes positive changes in your body’s gut hormones. Consequently, it reduces appetite, increases satiety and suppresses hunger. The surgery itself is relatively simple — it takes between 60 and 90 minutes. What Are the Other Benefits of Gastric Sleeve Surgery? Research shows that gastric sleeve surgery is beneficial for specific health conditions, including type 2 diabetes. Diabetes remission rates post-surgery are more than 60 percent and, as shown in some studies, are similar to the results experienced after gastric bypass procedures. Other research suggests that gastric sleeve surgery reduces the risk of certain types of cancer, overcomes depression and improves sleep apnea. Gastric sleeve surgery is an option for adults who struggle to lose weight using conventional methods. This procedure might also benefit people who have type 2 diabetes and other health conditions. Birmingham Minimally Invasive Surgery (BMI) specializes in gastric sleeve surgery. Do you qualify for this procedure? Contact us here to find out more. Gastric sleeve surgery, or sleeve gastrectomy, is a medical weight-loss procedure to treat obesity when your body-mass index, or “BMI,” is between 35 and 40, helping to relieve serious, secondary health problems such as diabetes, cardiac disease, high blood pressure or sleep apnea. If you have had little to no success with other weight-loss methods, then gastric-sleeve surgery may be an option. Sleeve gastrectomy is a minimally invasive procedure that permanently reduces the size of your stomach by 80 to 90 percent, limiting your dietary and caloric intake. The procedure takes less than an hour, performed laparoscopically through several small incisions. Using a small surgical laparoscope affixed with a small camera and light, laparoscopic surgery generally has fewer side effects than traditional open surgery and improves the surgeon’s field of vision and overall accuracy. As with any surgical procedure, the pre-operative process will include detailed instructions from your surgeon about recovery and what you can expect in the few days, weeks and months after your sleeve-gastrectomy surgery is complete. There will be a number of dietary and lifestyle adjustments that you will have to make in order to maintain lasting, healthy weight loss. Even after the procedure, you will have to practice good nutrition and exercise. Working with your medical team to design the diet, nutrition and exercise plan that is best for your lifestyle and medical needs before surgery will make for a smoother and more successful transition. You may feel better sooner than expected, but it is still important to take all of your medication according to the doctor’s prescription and follow the guidelines designed specifically for your recovery. Even with all of the research and planning in the world, the surgery will require a major lifestyle overhaul and adjustment. Ask for help when you need it. From the gym to grocery-shopping buddies, recovery is easier with friends. Don’t go it alone. Ongoing check-ups are essential for keeping your recovery on track and to make any necessary adjustments to your recovery plan to ensure that you look and feel your best in the long run. After you’ve tried everything else, minimally invasive gastric-sleeve weight-loss surgery may be the right option for you. For more information — and to take advantage of our deeply discounted pricing from $11,999 down to just $9,999 — contact our office by calling (205) 833-6907 to schedule a consultation today. Choosing weight loss surgery is never an easy decision. 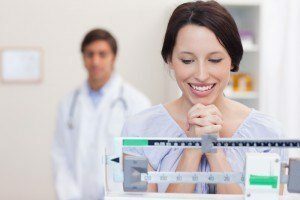 If you’ve struggled with your weight and can’t ever seem to get the scale to move in your favor, weight loss surgery may be for you. Gastric sleeve surgery has become a popular choice for those who choose bariatric surgery. Here are several things you should consider when considering whether gastric sleeve surgery is right for you. Why Choose Gastric Sleeve Surgery? Are you the clinical definition of morbidly obese? Do you have a BMI (Body Mass Index) of 40 or higher? Or do you have a lower BMI between 35 to 39.9 but have one or more chronic health conditions? If you answered yes to any of these questions, and have consistently tried and failed to lose weight and keep it off, then you may be an excellent candidate for gastric sleeve surgery. Outside of saving your life, gastric sleeve surgery can also significantly improve your quality of life. Weight loss surgery can help relieve chronic joint and back pain that occurs because of all the extra weight you’ve been carrying around. It can help alleviate sleep apnea, allowing you to sleep through the night without a CPAP machine. You’ll also see a reversal of chronic health issues such as diabetes, depression, high-blood pressure and high cholesterol. Other changes include mainly eating protein, eliminating sweets and learning how to handle your emotions without turning to food. After surgery, you will also need vitamins and supplements to make up for nutritional deficiencies in your new diet. It is crucial that you follow the strict diet given to you by your doctor after having gastric sleeve surgery. If you stray from the diet, you may experience some serious and life-threatening complications. Complications can include vomiting, plugging, a sensation that feels like food is stuck in the upper digestive tract and minimum to no weight-loss. More severe complications include a perforated stomach, which is a leak in your gut, and septic shock, which, if not caught early, can kill you. After awakening from gastric sleeve surgery, which takes around 45 minutes, you will have some soreness, but the soreness generally isn’t very severe. The nurses will have all of the necessary medications to keep your pain to a minimum. Expect to see 5 incisions. The largest is usually the sorest and will be where your surgeon has removed part of your stomach. You’ll be attached to an IV, and pain medication can be provided as needed. Anesthesia may make you nauseous, but this feeling should disappear quickly. You will start on a liquid diet once you are transferred to your room on the surgical floor. Moving may be a little uncomfortable at first, but you have to get up and start moving as soon as possible. The more you move after your surgery, the better you’ll feel tomorrow. If you are tolerating your liquid diet without problems and ambulating effectively, you will be able to go home on the day after surgery. You will meet with the dietician prior to leaving the hospital. After being discharged, make sure to read the post-operative instructions and have your prescriptions filled for pain and nausea medication. You will continue on the liquid diet for 5 days. After that diet, you will advance your diet according to the guidelines that you learned in the pre-op nutrition class. If there are any questions, always refer back to the book that you received in the meeting. Make sure to get 60 grams of protein and 64 ounces of fluid daily. Also, you will need to start taking your bariatric supplements as directed in the pre-op prep class. You need to start establishing a regular exercise regimen and increasing your goals weekly. You will start to see rapid weight loss during this time. You may still feel tired but should have more energy than you did before surgery. Your mood could fluctuate, but otherwise, you should be feeling a lot better. After 30 days, your physical activities are unrestricted. You can start weight lifting or anything else that will increase your calorie consumption.